Oh I didn’t know that you could yodel. No not Dr. Who Who, just Dr. Who. Because he wanted to go to high school. Why do bananas put sunscreen on when they go to the beach? What did the mushroom say to the fungi? Hey you’re a fun guy. A man arrived at a hotel on Friday. He stayed for two days then left on Friday. How is this possible? His horse is called Friday. Personally I like jokes because they always make me laugh! Some people don’t like jokes and they think they’re boring but not me! Hi I am Maisie. I'm 11 years old. I like dancing, being with my bffs, clothes , shoes , shopping, pets and most importantly Fabmag. I don't like spinach, being told off , annoying people , bullies and being filmed. My bffs are AMAZING! 20 Comments on "Funny jokes to tell your friends"
Laugh Out Loud these jokes are so so so funny! Funny jokes I liked the boy with the ladder one. They are very funny jokes I LOVED THEM ! These are hillarious I LOVE THEM! 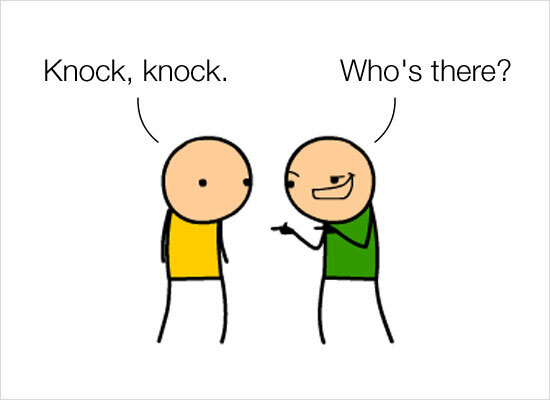 that is realy funny and i love the knock knock one and all the other ones. Well done! they were very funny and made me laugh. HAHA this is so funny. tell me more pleas. Funny jokes, i liked the last one! This is a super funny article! It made me laugh out loud! Hehe! love your jokes keep it up.